When a distressed humpback whale became entangled in nylon ropes, fishing nets and a buoy off of Byron Bay's Main Beach on Tuesday night, residents of New South Wales jumped into action. 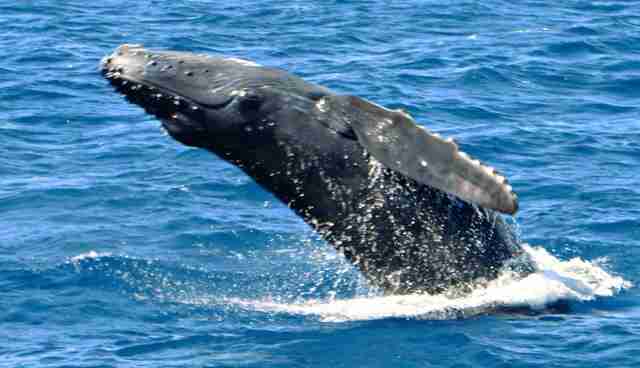 The 32-foot juvenile male humpback was spotted at first light about 100 meters off the coast. Rangers from National Parks and Wildlife went out in a boat to oversee proceedings as a specialist team from the Department of Primary Industry and Fisheries handled the disentanglement process. Ranger Sean Court knew the process of freeing the whale would be tricky. "We attached buoys to it just to slow it down," said Court. "It took off a few times. We just stayed with with it. We didn't want to harass it and make it all flighty. Thankfully a couple of times it slowed down and had a rest and while it was resting we cut the ropes off." 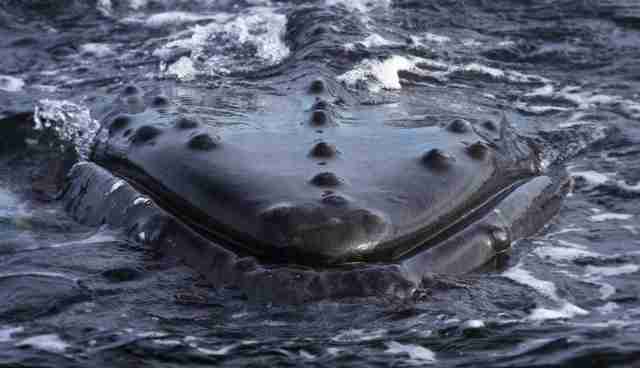 Disentangling trapped whales is more complicated than most would think, says Court. "They don't just sit still and let you come and cut things off them." Lawrence Orel, spokesman for National Parks and Wildlife, agreed, adding that a "40-tonne animal that is agitated and distressed is very dangerous." It took the rescuers a total of 45 minutes to cut off all the roping. Once the whale was free, he wasn't in a huge hurry to leave, surprisingly. 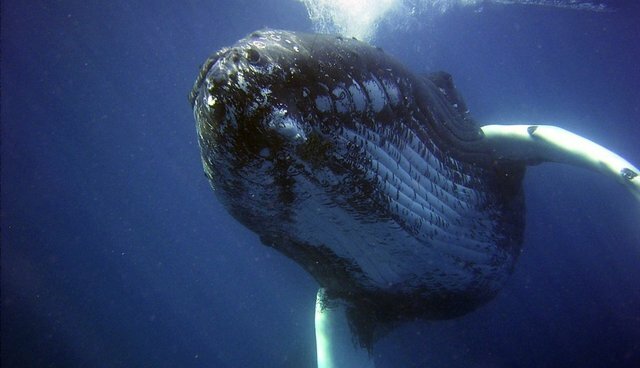 Court recalls that the whale "stopped and looked at us and did this thing called 'spy hopping.' We were having a chat about how the day went and it was just sticking its head out of the water and bobbing up and down and looking at what was going on. It was interesting behavior that was for sure... just to stay with the boats for 15 or 20 minutes once we had taken all the gear off." Perhaps the curious whale wanted to take a moment to observe his rescuers! However, the whale soon headed back out to sea, with the rescue team confident in his health. According to Court, "All its signs were good." This was not the first instance of a whale showing their amazing appreciation to rescuers, as is shown in this video by the Great Whale Conservancy.